MAN TGA 35.400 Kipper 5,00 m + KRAN HIAB 600 * 8x4! The price is set up at the amount of 97900 Euro. 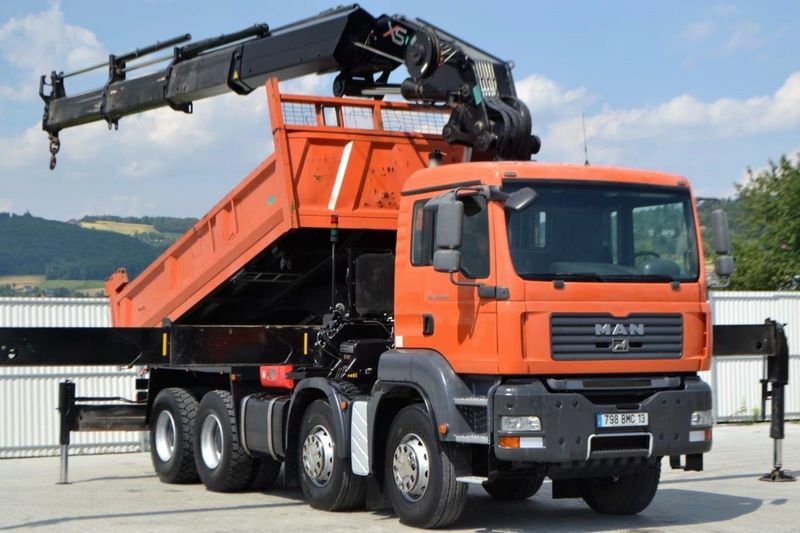 All the offers in the stock of MAN TGA 35.400 tipper are up-to-date as well as in good shape. The year of production is 2008. Engine details/gearing and fuel type: diesel, displacement: 10518 cc, 400 hp, gearbox: manual. Wheel formula and suspension type: 8x4, number of axles: 4, ABS. Cab comforts include air conditioner. Body dimensions and options: loading length: 5000 mm, loading width: 2300 mm, loading height: 700 mm. The mileage is 195000 km. The parking site is in Poland.